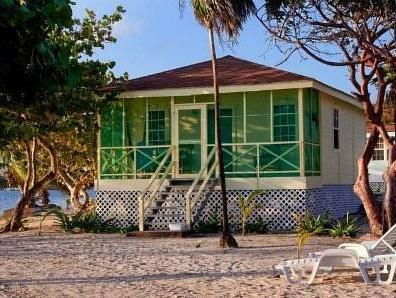 ﻿ Best Price on Blackbird Caye Resort in Turneffe Island + Reviews! Featuring an outdoor pool, Blackbird Caye Resort is located in Turneffe and is accessible only by boat or charter plane. This accommodation offers a restaurant, library and barbecue facilities. Free WiFi access is available. Each room at the Blackbird Caye Resort provides a balcony, sea view and outdoor furniture. Private bathrooms include a shower. Air conditioning and a fan are also provided. A variety of activities can be enjoyed on site or in the surroundings, including diving, snorkeling and kayaking. Other amenities offered at the resort include child care services, free shuttle service and banquet facilities. The property also boasts a gift shop and shared lounge. The resort is 51 km from Philip S. W. Goldson International Airport. Please note In order to board the complimentary boat transfer to the island of Blackbird Caye, guests must arrive at Belize City International Airport (BZE) before 3 PM on Wednesdays or Saturdays. For more details, please contact the office using the information on the reservation confirmation received after booking.